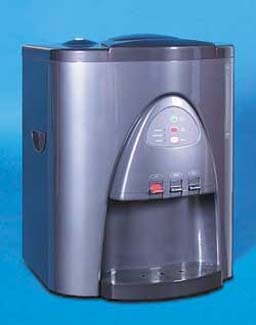 We provide sales, rentals and service for a wide variety of Vertex bottle-less water coolers and related products. These fine coolers have many different options, features and colors whether it is for a home or business application. A choice of a built in reverse osmosis system or a carbon sediment filtration system are available for most models. Soft Water Plus offers professional installation and annual maintenance of these high quality coolers. We are pleased to carry the following models. Click on each product below for more details on that particular model.